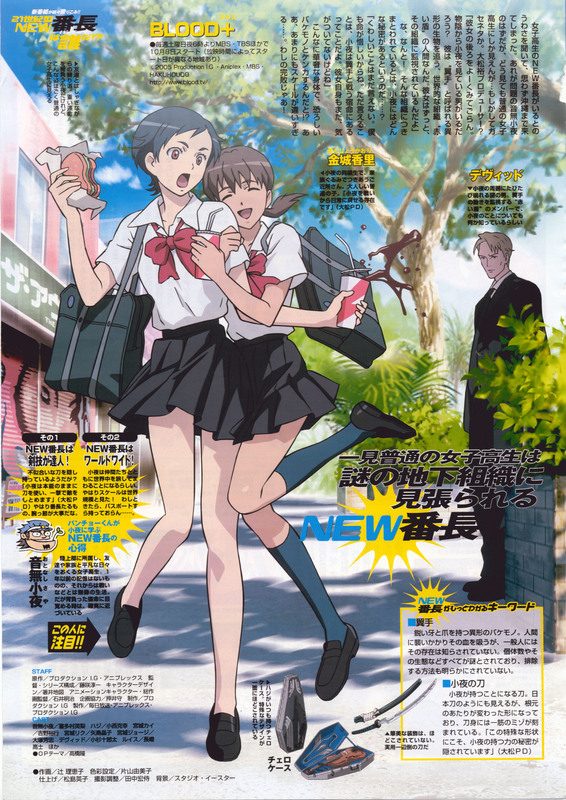 This is a scanning of monthly Animedia September 2005 issue. There is no time to be busy, and to do the net too much. The reply might slow even if it comments and it registers in the favorite. Ah, good old days from Okinawa. It seems so long ago that we saw Saya in that outfit after a normal school day in Okinawa. Again, Kaori sure likes to stick to Saya like glue... while Saya brings a good bunch of food for herself (talking of a HUGE appetite). LOL! Err... David never looked more suspicious than in this pic. I like this scan.. the scene is from very good time for Saya.. when she was thinking that she is normal girl with normal family.. and NOW, when Riku is... geeez.. thank you for sharing!